Half-Life: Echoes android port. Just copy echoes folder to folder where is 'valve' located. NOTE: Turn on VBO(r_vbo 1, r_vbo_dlightmode 1) to prevent fps drops. NOTE2: If game crashes on echoes21 map, turn off VBO(r_vbo 0). Laurie Cheers for Spirit of Half-Life. James Cockburn for provided Half-Life: Echoes source code. Qwertyus and FreeSlave for testing. AlliedModders, Solokiller, Lev Shisterov, YaLTeR, FreeSlave, Unkle Mike, Vit_Amin and Tyler Lund for many public bugfixes for Half-Life SDK. To play the mod properly you must have Xash3D FWGS Engine installed on your Android device. Version 0.19.2 (or newer) is recommended. Also you must have Half-Life cache files ("valve" folder) copied onto your device (usually something like "/sdcard/xash" folder, but it depends on your device and may differ) and properly configured path to them in Xash3D launcher's settings. Put extracted "echoes" folder (the whole folder, not only its' contents) in the same Xash3D's directory and install the provided APK-launcher for "Echoes". Then start the game with the launcher. 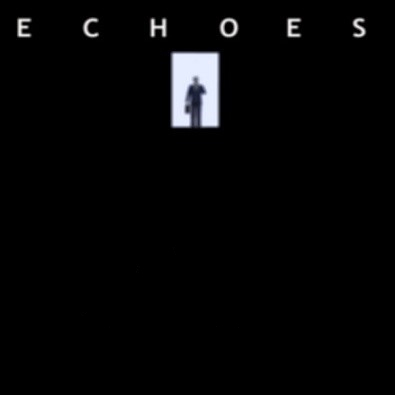 The latest version of "Echoes" is v1.3 ATM. ZIP-download is recommended for Android. Have fun! P. S. Game uses a lot of detailed models & textures and have very dense level design. Your device must be powerful enough for this. At least 2GB of RAM and a worthy processor are probably required for comfort playing with no crashes. Or you can used OpenGL.cfg in "echoes" folder for lower device's to reduced all HD texture's it will not getting laggy or crash randomly. Which opengl.cfg? You can change gl_picmip cvar value to reduce texture quality and memory usage, but texture compression does not help to increase fps. VBO support was added in the latest Xash3D FWGS releases to reduce fps drop on some videocores. It does even more increased fps. I tried to play With my old phone with very lower "RAM" it has only 400mb space memory usage and it always crash when you in next map its because those maps are huge and lots of NPC HD models .It can play with no crash,don't worry about the little lag. Press "READ MORE..." in Description (under "DOWNLOAD NOW"), there is an information already about this (set r_vbo 0 via console). I can't seem to enable "r_vbo" in my Galaxy Tab S4, but I can enable it on my Galaxy Note9 (Exynos). I tried enabling it both through the menu, the "config.cfg" file in the echoes folder and the console, but it always reverts back to 0. What can I do? As a solution you can create userconfig.cfg and add any entries to this file. I notice that the blood decal color texture is missing. Android-related bug of the engine. Could you solved that problem? Hello i dont know what the problem is but in the start, all the vehicle are gone missing ??? What is this a bug or error but the mod was run as well in my phon. Which Xash3D FWGS version? 0.19.2?